Ironpants: because Flappy Bird just wasn't hard(and pathetic) enough. 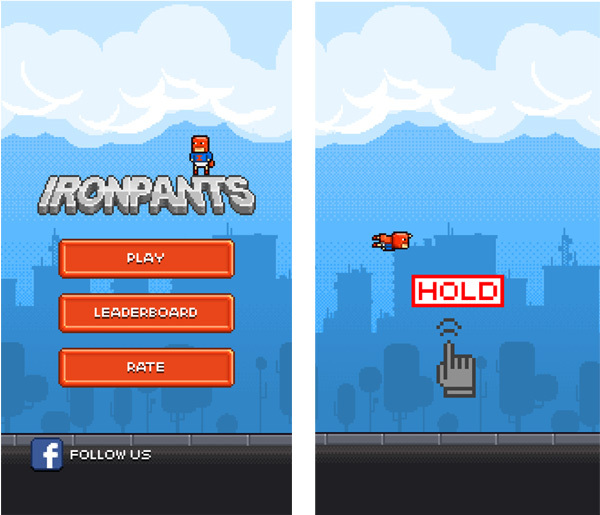 Ironpants: because Flappy Bird just wasn’t hard(and pathetic) enough. 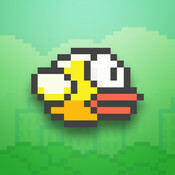 In 24th March last year, Vietnamese developer Nguyen Ha Dong released the game Flappy Bird for iOS devices on huge App Store. It went largely unnoticed until January when it first topped the trending list for US and China followed by the UK store. But in the last two weeks, after the release of the app for Android on the Google Play store it gained notorious popularity, and even reported to have gained $50,000 per day in ad revenue. The game didn’t have a story behind it, the graphics were pixelated. The reason why people loved (or hated) this game was because of its simplicity and sheer difficulty. People failed, and failed again, and yet came back for a higher score. Right after Flappy Bird was pulled from the app stores, the same developer released a new game. Iron Pants. Similar gameplay, similar graphics, just a lot more harder. The game features a guy flying through pairs of stacked boxes which seem to be levitating in the air defying gravity. Press and hold on the screen, and the character flies higher. Let go and it falls. Much like Jetpack Joyride, except its so much faster and the controls are very sensitive, and the overall experience is worse than Flappy Bird. As if that wasn’t bad enough. We, at Techetron, have yet to comprehend how Ironpants and its inspiration Flappy Bird became so popular. I mean how can someone tap on a screen to control a guy in a game with glitchy graphics. Try this if you already had your life ruined by Flappy Bird and you are suffering from withdrawal effects.